The players are set up in a semi-circle. A woman sits alone at a desk at the front. She says nothing for the first 20 minutes. The music is intense, rhythmic, pulsing. About halfway through, she begins to speak. The words are an Aramaic text taken from the Bible, and her voice is gradually distorted as the piece progresses, becoming unintelligible towards the end. There was a point where it started to sound like people speaking from beyond the real world or something. She was banging on the desk. The music stopped and she continued on for a bit. I was so excited by it. The piece was ‘Salome Fast’, by Ron Ford. The Asko Ensemble were performing. 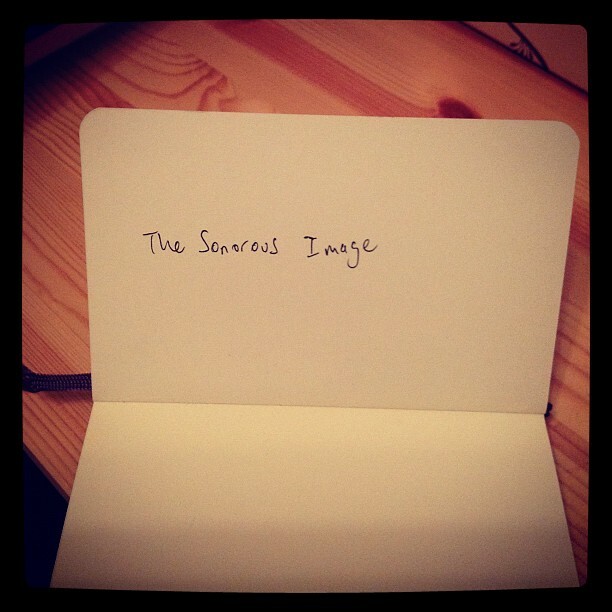 In Aaron Copeland’s book, ‘Music and Imagination‘, he talks of the ‘Sonorous Image’. A kind of musical fingerprint, ear-worm, whatever you want to call it. An indelible print burned into your mind. YOURS to keep forever. The cascading major triad accompaniment in John Adams’ violin concerto; the little blink at the start of Steely Dan’s Black Cow; the chords on Stevie Wonder’s Smile Please; Jeff Beck’s slide version of Amazing Grace; Jeff Buckley in a coffee shop, and on and on and on. The possibility of hearing something JUST ONCE and having it change you forever.